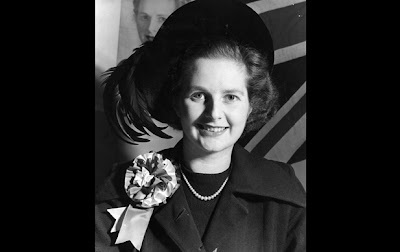 Aside from her signature pin, Margaret Thatcher was not known for her beauty or fashion style. However, one of her most well known quotes sums it up, "Being powerful is like being a lady. If you have to tell people you are, you aren't." 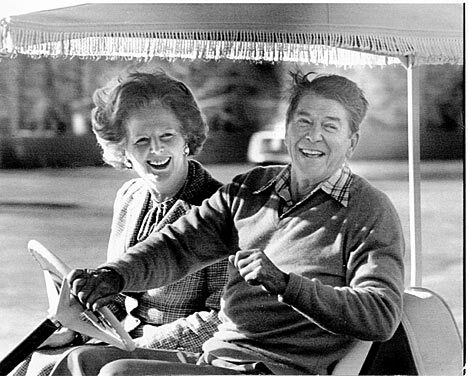 There are many Margaret Thatcher quotes I love. 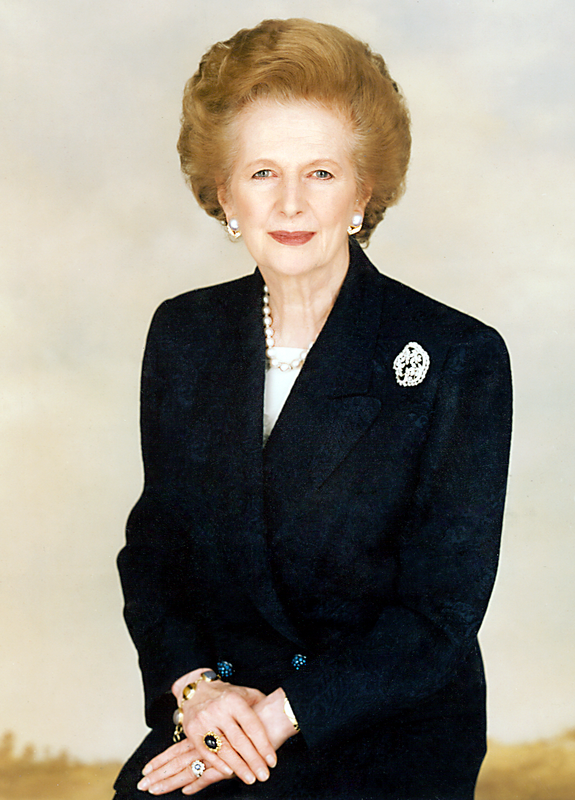 I never knew much about her until I saw the movie, The Iron Lady. What an incredible and inspiring person she was. She not only broke barriers into the man's political world but really made a difference at a time when Britain needed strong leadership. She did the job because she was passionate about her beliefs and felt everyone needed to have a purpose. She didn't need to be popular or loved by everyone because she knew who she was and was strong enough not to bend on her values. That is tough to do - especially since most politicians govern by polls now. "Disciplining yourself to do what you know is right and important, although difficult, is the highroad to pride, self esteem, and personal satisfaction," she said. If that isn't a thought to pass on, I don't know what is! I'm sad a woman with so much to say and contribute ended up having alzheimer's disease. I'm sure she has been restored to her former self in Heaven and will let the angels know if something needs an upgrade! 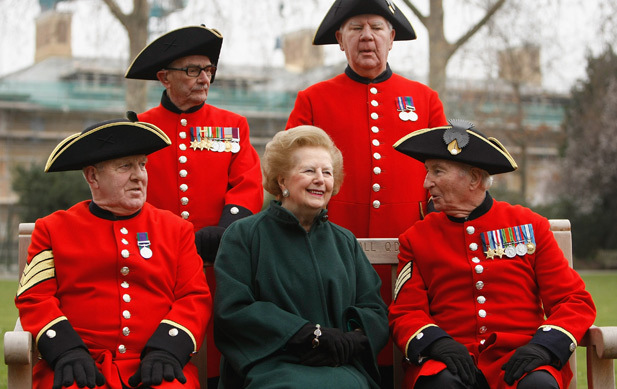 Rest in peace Margaret Thatcher. When buying or selling a house, please remember me!